Learning Integral Hatha Yoga & Ayurveda in Cape Town, South Africa. 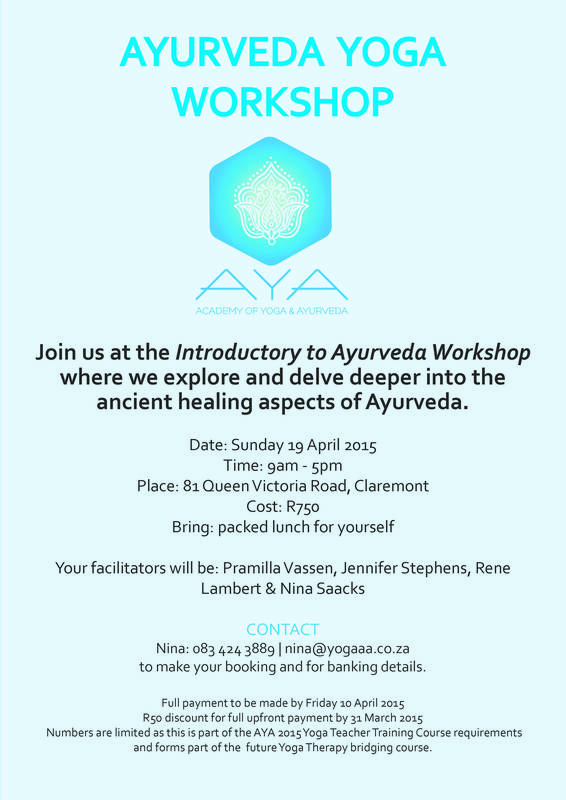 Join us for the next Workshop happening on Sunday 19 April 2015. ‹ PreviousAdjustments Workshop for Yoga Teachers. Next ›31st May 2015: Celebratory Satsang for the Mothers of Ananda Kutir Ashram. Vinyasa Krama – Yoga Sequencing.